According to the U.S. Bureau of Labor Statistics, Certified Child Care Worker (CCCW) are expected to experience close to a 20% rise in employment through 2020. The number of children who require child care because parents work outside the home is expected to continue to grow, keeping child care professionals in high demand. 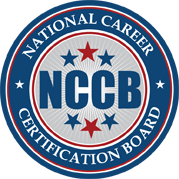 Achieving the National Career Certification Board’s Certified Child Care Worker (CCCW) designation will demonstrate individuals have mastered the required skills to be an effective Child Care provider. Certified Child Care Workers (CCCW) will provide parents and child care centers the credentials that show individuals have the formal training to keep children safe and make good decisions for them while they are in their care. The benefits to becoming a Certified Child Care Worker (CCCW) may include more job opportunities, higher wages, and increased job security.